San Diego-based Sempra Energy reported a 77 percent increase in its first-quarter earnings thanks to a change in accounting procedures required by the California Public Utilities Commission. The energy services holding company earned $437 million, or$1.74 per share, on revenue of $2.7 billion, compared to earnings of $247 million, or $0.99 per share, on revenue of $2.8 billion a year ago. Beginning in the first quarter 2015, Sempra’s Southern California Gas unit was required by the public utilities commission to recognize revenues from the utility’s core activities on a seasonally adjusted basis. This will result in substantially all of SoCalGas’ annual earnings being reported in the first and fourth quarters of the year, but will not affect full-year operating earnings. The change added $113 million to first-quarter earnings. “Our strong first-quarter operating results keep us on track to meet both our growth expectations and our 2015 adjusted earnings guidance,” said Debra L. Reed, chairman and CEO of Sempra. 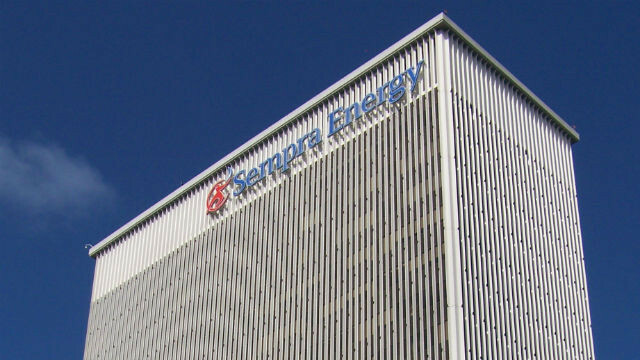 First-quarter earnings for Sempra’s San Diego Gas & Electric unit were $147 million, up from $99 million a year ago, due primarily to higher margin authorized by the public utilities commission, increased earnings from electric transmission operations and the benefit of $13 million reduction in the loss from closure of the San Onofre Nuclear Generating Station. The company said investors should expect adjusted earnings of $4.60 to $5 per share for the entire year.